Motor Garage Goods biult a bike based on a stock SR400, the build started with stripping down the stock bike. The stock frame was heavily modified at the rear to adapt the new style. 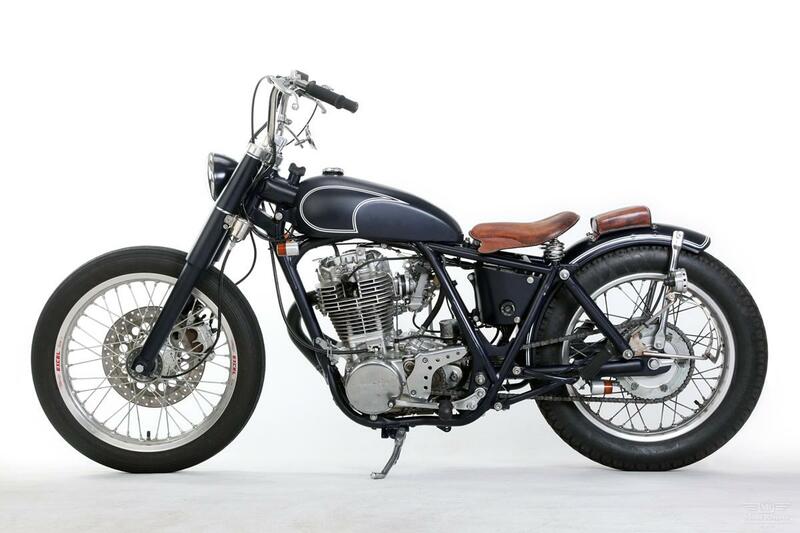 The SR400 engine was overhauled and fitted with a Trumpet muffler. At the front this SR400 street tracker features a close chrome handle bar, Amal364 type throttle holder, chrome clutch leaver and an Avon SP-Mk2 front tire. At the rear the bike features Koni suspension, one off seat and a side tail kit taillight. Other parts includes a side mount Bates headlight and a side mounted speedometer. 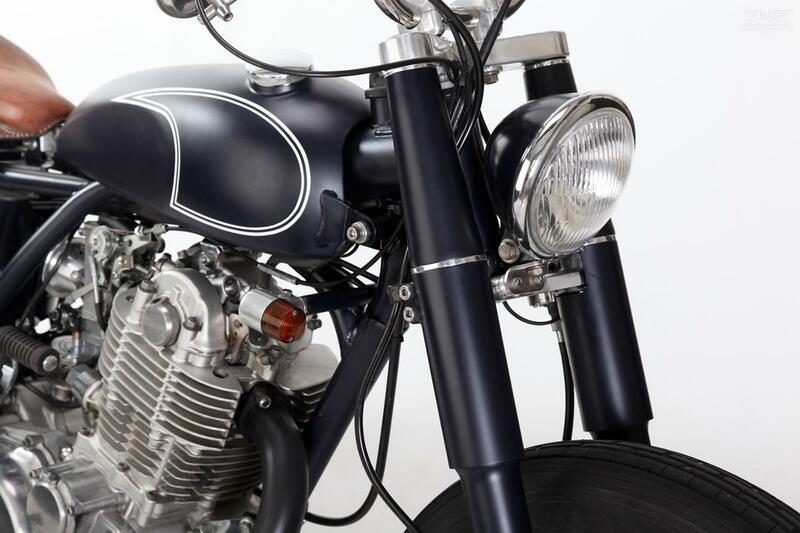 The fabrication work includes a hand fabricated rear cowl and custom Vintage teardrop fuel tank. The finished street tracker is painted in classic looking red and white colors with Yamaha emblems. My personal favorite on this build has to the tear drop fuel tank and the exhaust system. 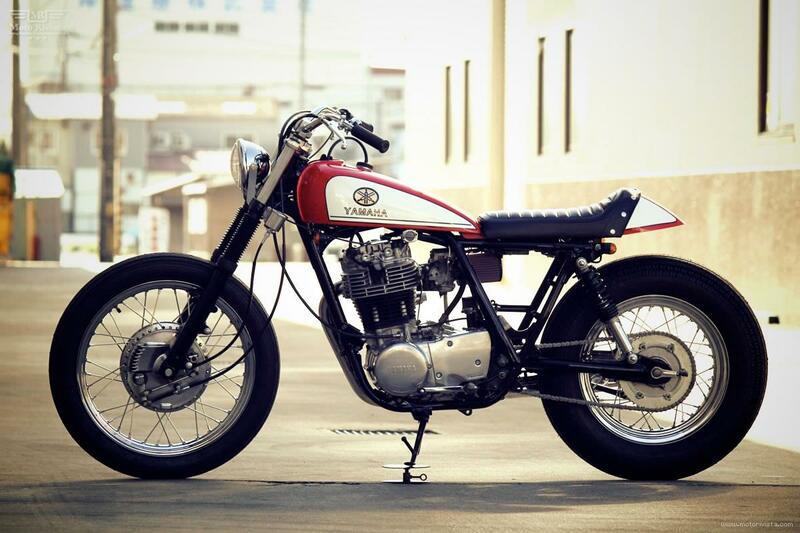 The base for this custom beauty was a stock SR400, which was stripped down to the frame. The stock frame was heavily modified to adapt the new style. 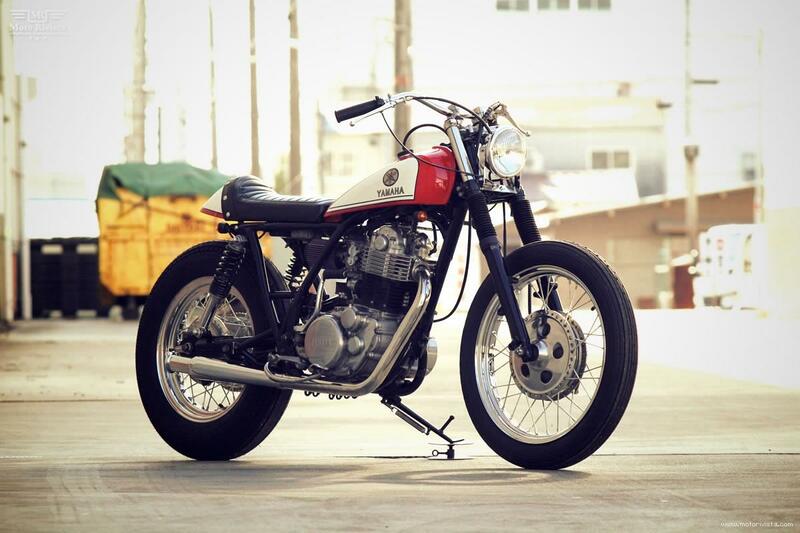 The stock engine was crowned with Motor Rock’s Biller breather filter, a Keihin FCR carburetor fitted with a remolded Gravel Crew long straight muffler. 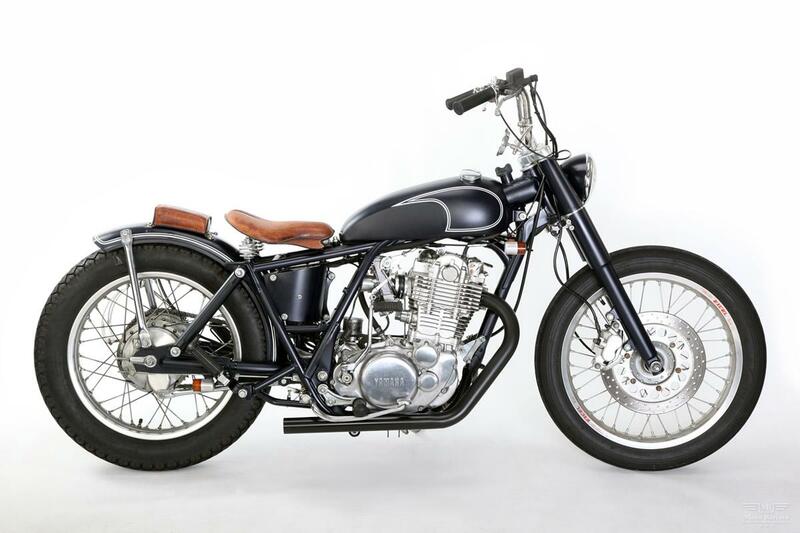 At the front this custom Yamaha SR400 features Motor Rock’s 69Bar LTD style standard handle bar with switches and chopper style grip. A Bates headlight 5-3/4 inch bolted on Motor Rock’s bottom mount light stay and a POSH small winker. 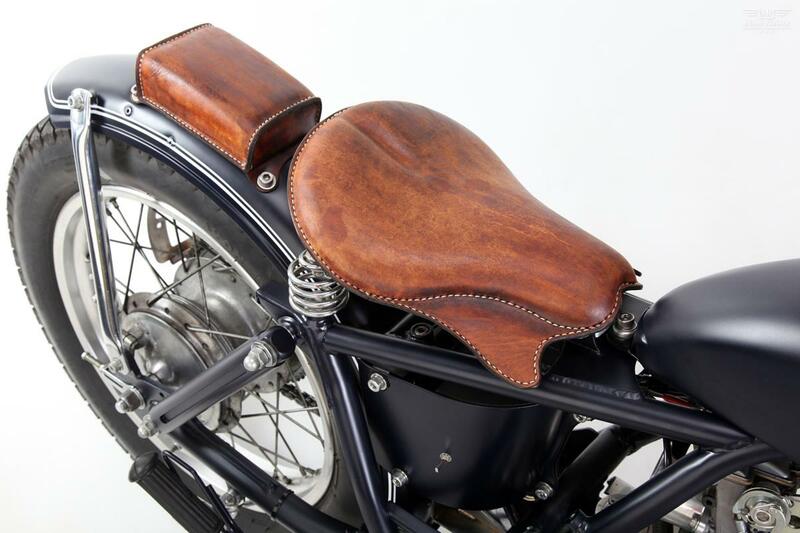 At the rear the bike features an Easy Riders drilled taillight, vintage step type BSA footpegs and a one-off Razzle Dazzle seat. The fabrication work on this beauty includes a remolded Bonneville fuel tank, 69Box battery case and a remolded XL rear fender. Other parts from Motor Rock’s catalog includes a side number kit Type3, a drilled sprocket cover and 69Decomp decompression lever. The finished bike rolls on Motor Rock’s excel wheels wrapped in SP MKII Avon tire at the front and SM MKⅡ Avon tire at the rear. 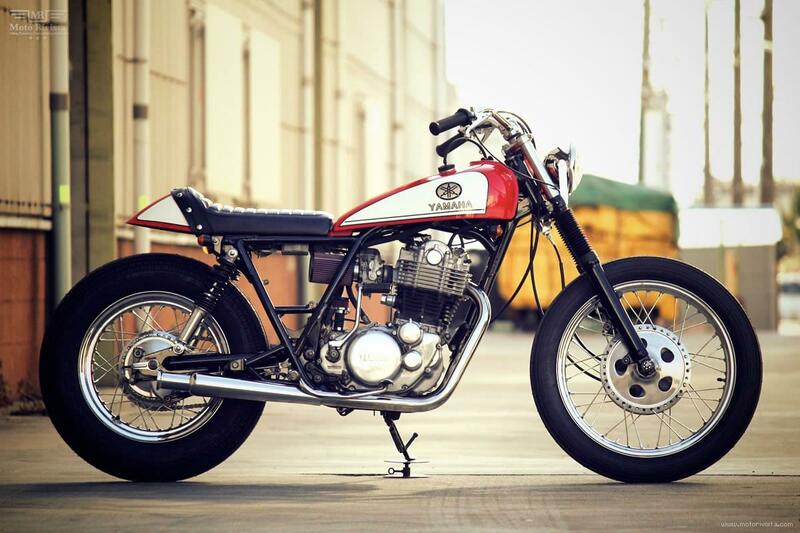 All the elements on this custom Yamaha SR400 have been put together with fine precision. The navy blue metallic colors with white stripes and the Razzle Dazzle seat adds a vintage feel to this custom beauty. 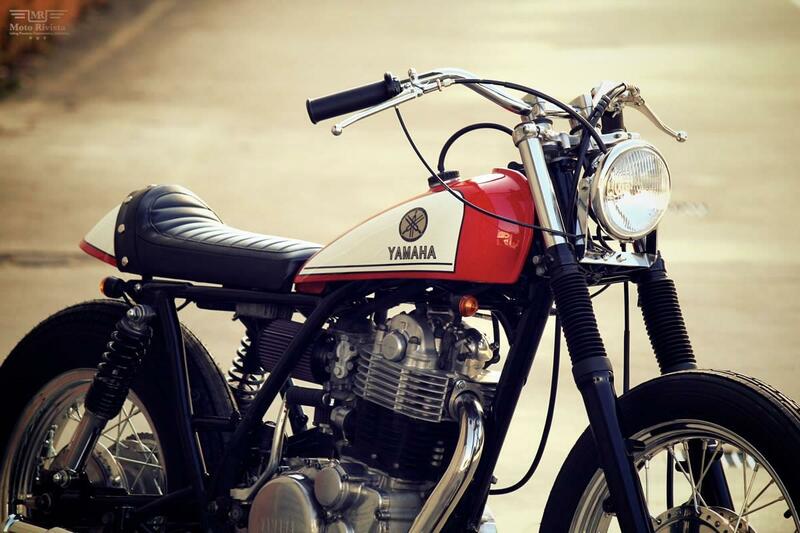 This entry was posted in Chops&bobs, Motorcycles and tagged Chops&bobs, Scrambler, Yamaha by 77C. Bookmark the permalink.